Methinks we're seeing a pattern here. 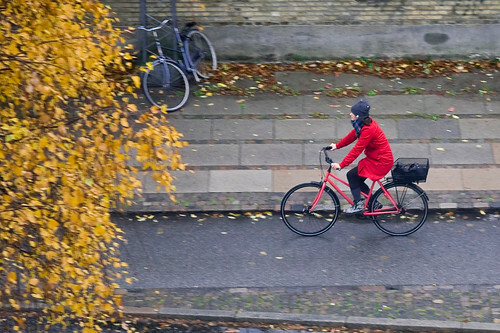 We're heading into deep autumn here in Copenhagen and it certainly appears that the best colour to go with yellowing leaves is... red. As these morning commuting shots attest. Matching your clothes to the colours of the seasons is a much underrated pursuit but no less important than matching your clothes to your bicycle of choice. 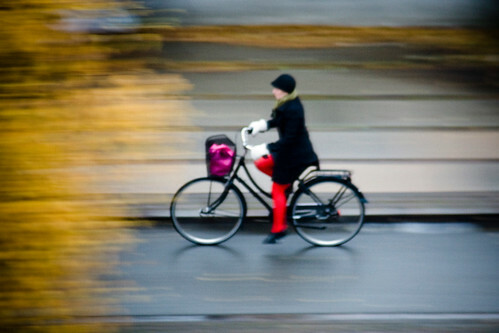 It's also wonderful to consider how the simple act of cycling can easily become a painting. And the boots are back, for sure. Wonderful. 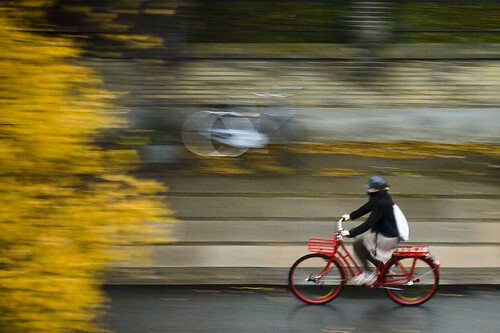 I thought this last night (about the red, not the bicycles)...lovely shots. 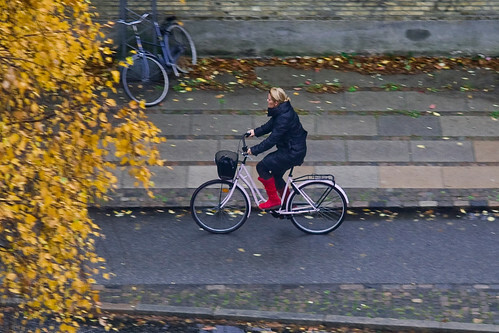 Beautiful Pictures,the Red and Black of Clothes and Bicycles and the added Touch of Russet Brown of the Leaves. Lovely images - like the outfits, the bikes and the leaves!